Red River County is separated from Oklahoma by the Red River and from Arkansas by Bowie County. Clarksville, the county seat and largest town, is sixty miles northwest of Texarkana. 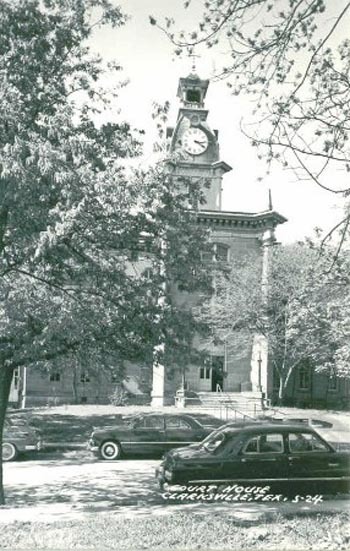 Red River County’s current courthouse was built in 1885. It is the fifth courthouse to serve the county. Earlier courthouses were built in 1830 in Jonesboro, 1840 in La Grange (now Madras), and 1852-1853 in Clarksville. Red River County Courthouse. Records date from 1836. Fifth courthouse for county. Built 1885. Italian Renaissance design. Recorded Texas Historic Landmark. Historical marker text, 1966. Red River County History from the Handbook of Texas Online. Burials, Cemetery and Death Records for Red River County, Texas by Lawrence and Sue Dale. This book and two other Red River County Cemetery books Available from the authors.